At least three ministers have resigned in Peru, amidst increasing pressure to approve a controversial gas project in the Amazon. 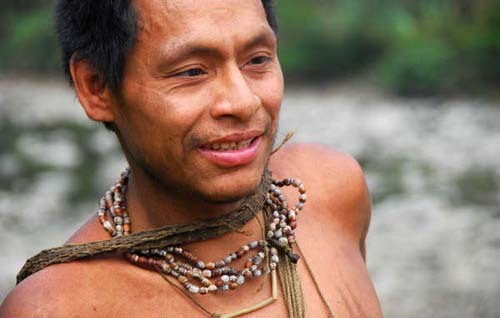 The plan to expand the existing Camisea gas project, which is within the Nahua-Nanti Reserve for uncontacted tribes, has been widely condemned, and in March the UN called for its ‘immediate suspension’. Peru’s Ministry of Culture, charged with protecting indigenous peoples’ rights, last week issued a report outlining the dangers the project would pose to uncontacted and isolated Indians’ lives. But the report disappeared just hours after it was published online, and both the Minister and Vice-minister of Culture have now stepped down. Amongst concerns outlined in the Ministry’s report are the risk of disease being spread amongst the isolated Indians, who lack immunity to common illnesses which may be brought in by oil company workers and outsiders. The Camisea project has already led to the death of up to half the Nahua tribe after they were contacted for the first time following initial oil explorations in the 1980s. The Nahua continue to suffer from grave health problems, as is common amongst recently contacted Indians, and the expansion of Camisea would cut deeper into their forest home. Camisea is run by a consortium of companies led by Argentina’s Pluspetrol, US’s Hunt Oil and Spain’s Repsol. The expansion plans include the detonation of thousands of explosive charges and the drilling of more than twenty wells.